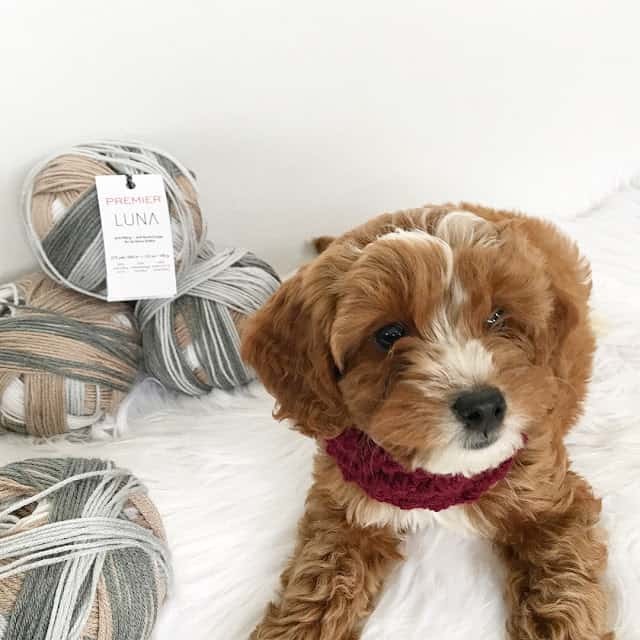 I’m so excited that I got to work with Premier Yarns and one of their newest yarns – Luna! 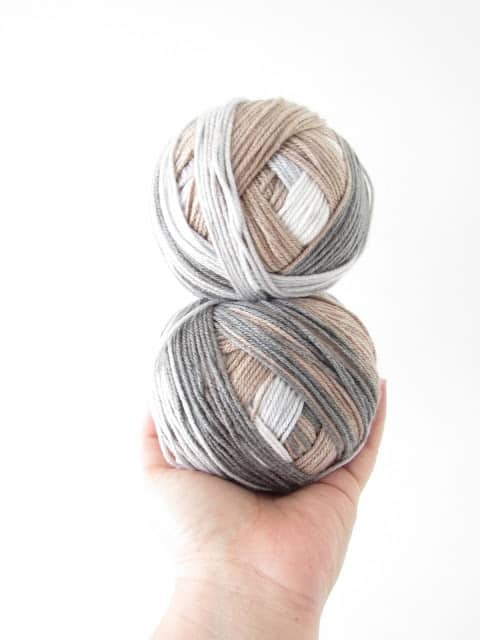 I choose the color “Mars”, which has all the pretty neutrals in one ball! 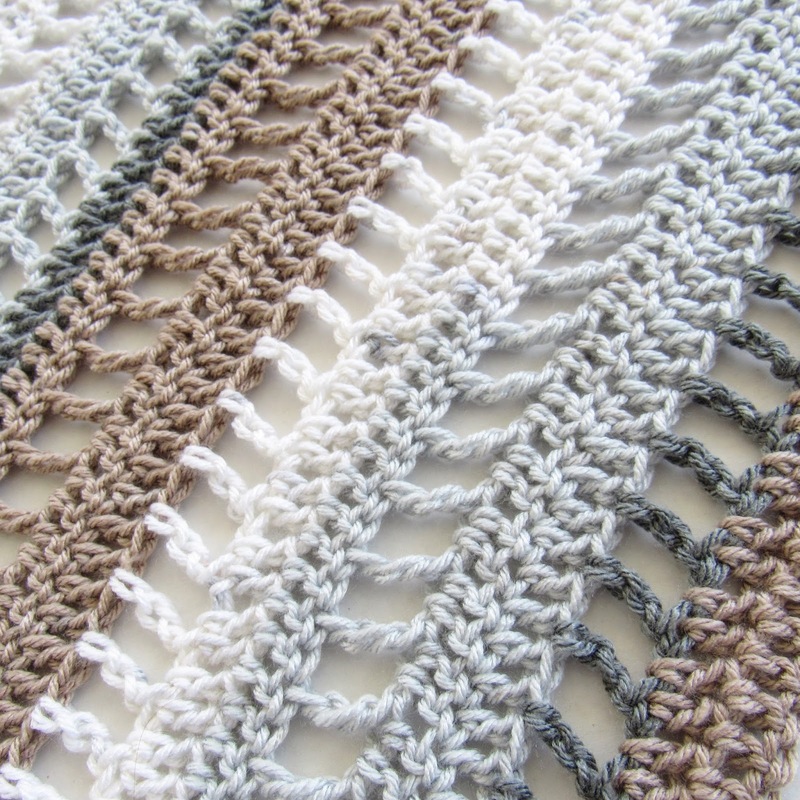 When I got this yarn, I knew I wanted to make a garment that was nice and flowy for the warmer months. The yarn is a weight 3, which is perfect for light garments! Personally, I can’t find many weight 3 yarns so I was really happy to see that these pretty yarns were light weight! 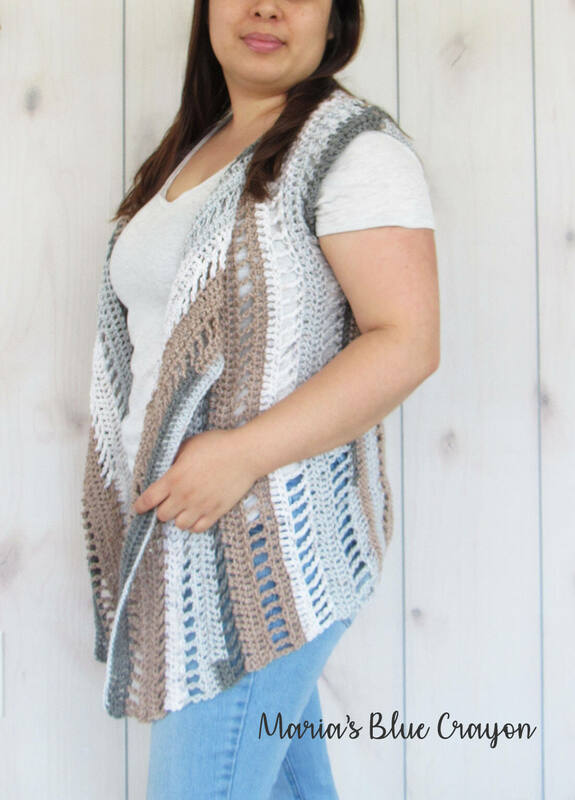 I coupled double crochets and filets to make this vest super breathable and airy for spring and summer. 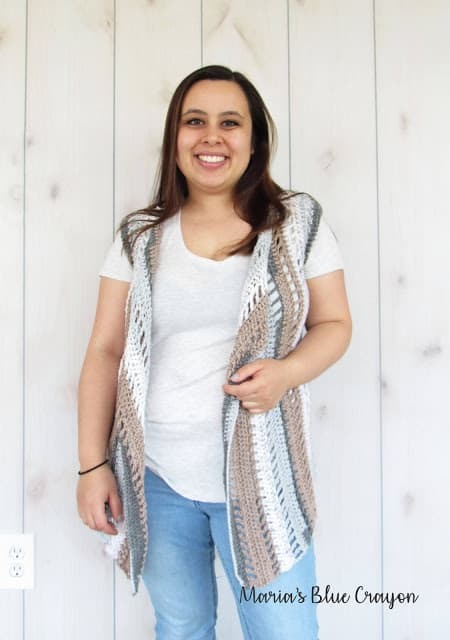 This makes for a very easy crochet garment – especially since all it is is 3 rectangles and some sewing together! I’m going to be honest, I never even wore a vest before. But after making this one, I love it! I love that I can just dress up a simple tee shirt and when it gets really warm, I can throw it over a tank top! It’s super light weight and it’s longer and flowy in the front which makes it so fun! I love the texture this vest has to offer and this will definitely be a staple in my wardrobe this summer! Grab your Luna Yarns and get this vest started! This vest will be made in 3 pieces and sewn together at the sides and top. *If you are petite like me (4’11”), I recommend starting with 79 chains in the beginning and follow the rest of the pattern as written. This will take off a few inches off the length. This finished the back panel of the vest. 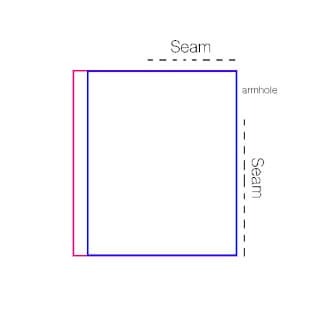 Use the photo below as a guide to sew your 3 panels together. Lay the back panel down first (pink rectangle in photo). Sew together the top right portion of the panels towards the middle over 4” (XS-L) or 6” (Xl-4X). This seam will sit on the shoulder. 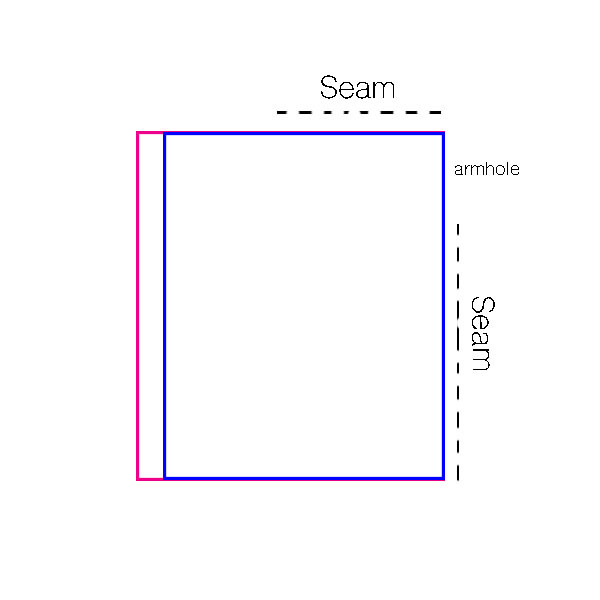 Sew down the right hand side leaving an 7”(8”, 9”, 10”) armhole at the top. The first panel is now sewn onto the back panel. Sew the second panel on the other side of the back panel. I hope you enjoy this pattern and the Luna yarn as much as I have! Let me know what color you will make your Hippie Dippie Vest in! I’d love to see it too – share with me on Facebook and/or Instagram! What size is the vest you are wearing? The instructions for different sizes aren't included. Am I missing something? Thank you for sharing this pattern! I believe changes for different sizes are in parentheses.